Audi A8 Running Costs, MPG, Economy, Reliability, Safety | What Car? 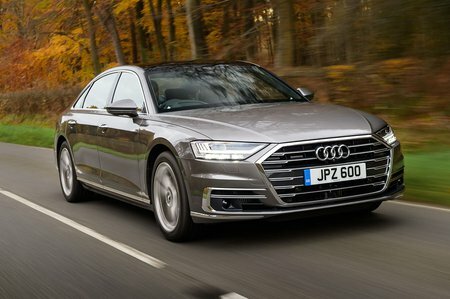 The A8 is competitively priced next to the BMW 7 Series and Mercedes-Benz S-Class, and undercuts them a little even before you take into account its standard four-wheel drive. However, its CO2 emissions are some way behind those of the competition, which will deter company car drivers. The S-Class will be a cheaper proposition on PCP finance, too. Resale values of these big limos are notoriously bad: they can lose up to half of their value from new – and sometimes more in the case of top-end models – in the first year alone. The 50 TDI diesel is claimed to deliver up to 50.4mpg, but that figure was calculated under the old NEDC regime. The newer WLTP tests are more accurate but we don't yet have a figure for the A8. Standard equipment is very generous. Even entry-level cars have 18in alloy wheels, leather trim, 22-way electrically adjustable and heated front seats, all the infotainment kit you could want, leather upholstery, LED headlights, Audi's Virtual Cockpit digital instrument display, a powered bootlid, air suspension, adaptive cruise control, a head-up display and dual-zone climate control. 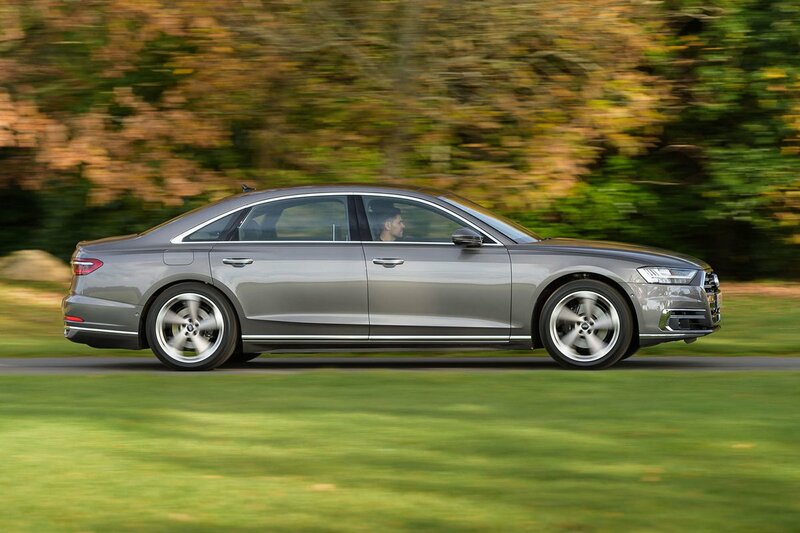 Long-wheelbase models add heated rear seats, a 5.7in tablet-style remote control, four-zone climate control, rear USB ports and electric rear sunblinds, and would be our recommendation when you consider that the A8 really was designed with passengers foremost in mind.